Home Inspection: What Is It and Do You Need One? What Is a Home Inspection and Do You Need One? As a prospective home buyer, the answer to this question should definitely be ‘yes’. The reason is that you must try to minimize any surprises the house you are about to purchase might have in store for you. Mold, loose floor boards, ants, and so on need to be discovered and checked in due time before you sign the deal. And they are not the only problems your prospective house might have. 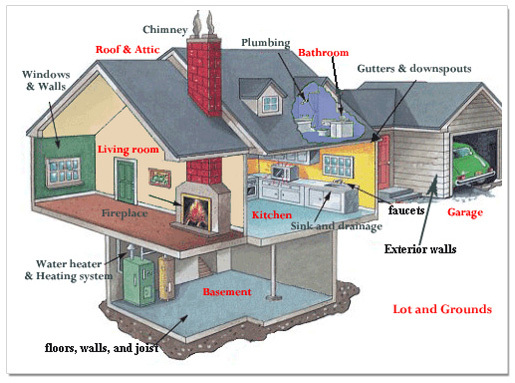 But, before we get ahead of ourselves, let’s also look at what exactly is a home inspection. Then you’ll see even more clearly why you need it. One crucial thing you must know about home inspections is that they offer you a fantastic opportunity. You can back out of the deal. If for example, a professional home inspector has found problems with the house or things you are not satisfied with, this creates a contingency. It will allow you to simply back out of the deal you previously made with the seller, completely free of charge. However, you must do so in a limited amount of time. Think about it this way – if a house had such problems that you were actually allowed to walk away free of charge, that means they must of have been serious and you shouldn’t have been living in that house anyway. This sounds good for a first reason you should splurge on the home inspection. Every home inspection has a particular list it must abide by. It should last some two or even three hours, and a good inspector should cover as much ground as he or she can, without leaving out any details. They need to present you with a report of their findings, and you are advised to ask questions. The more, the better, actually. Remember, you are paying for this house, and you will be living in it. There is no such thing as a redundant question. Also, make sure the inspector literally goes to see the house. Some of them rely on photos snapped inside and outside the house, but, apart from the fact you can’t really tell a lot from photos, they can also be biased. If for example, the seller took them, you can be sure they avoided the dark and moldy corners. Although it’s virtually impossible to list every single aspect a home inspector will be looking at, here are the general guidelines you should be on the look-out for. Exterior walls – if they are damaged or cracked, if the soil is too close to the foundation, etc. The plumbing – the inspector will have to check all the faucets and showers for leaks and cracks, kneel under the sink, and test the water pressure. Remember to ask him to point out to you where the main water shutoff valve is located inside the house. Electrical – check all the outlets, identify faulty circuits, interrupters, check the electrical panel for any issues it might have so that it doesn’t turn into a fire hazard. HVAC – this stands for heating, ventilating, and air conditioning. Ask if there are any ways in which you can minimize your electrical bills and whether or not there is any asbestos insulation in the house. The water heater – The inspector will tell you the age of your heater and if it was properly installed and maintained. Ask him how many years of life the heater has left and what can you do about it. Kitchen – if any appliances come with the house, you can ask the inspector to check them as well, although it is not mainly part of his routine. You might have to pay him extra for this. Laundry room – have him make sure that room is vented as it should be. The dryer exhaust system causes serious fires every year. Bathrooms – Here, a home inspector will have to check and see if the toilets are secured, if there aren’t any leaks, if there is mold or not. As far as mold is concerned, ask about the possibility of it forming over time, especially if your bathroom doesn’t have a window. Typically, the price of a home inspection differs from state to state, seeing as the prices are unfixed. For example, in Austin, Texas, a home inspection costs an average of $452, in Massachusetts, Tiger Home Inspections charges you according to the set of services you want the inspector to perform, and in New York City it can go up to an average of $1025. Is it worth having your home inspected? As we mentioned previously, it is. Here are a few main reasons. It can help you discover some serious problems with the house that are not visible to the naked eye, such as asbestos insulation, cracks in the walls, old pipes that can burst at any time, unsafe electrical appliances and so on. It will teach you valuable lessons on the maintenance of your future home, which you might have had to find out the hard way. All in all, a home inspection can seem a bit pricey at first glance, but home buyers report the procedure pays for itself many times over as the years go by. It’s a major step in the entire process of buying a house which you don’t really want to skip.